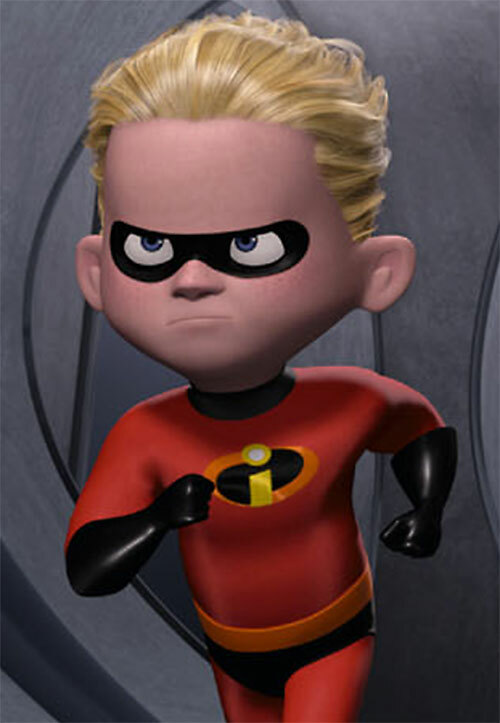 Dash is one of the main characters of the 2004 Pixar animation movie The Incredibles. The movie encountered both critical and commercial success (and our profiles keep attracting a lot of people 12+ years after the film was released). 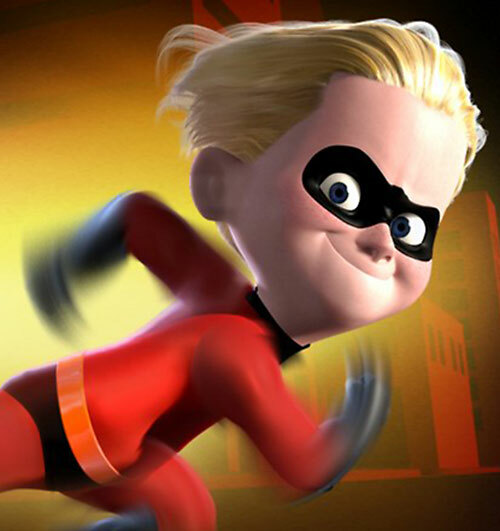 The Incredibles deals with super-heroism, family life and emotions, violence, and being different. Real Name: Dashiell Robert Parr. 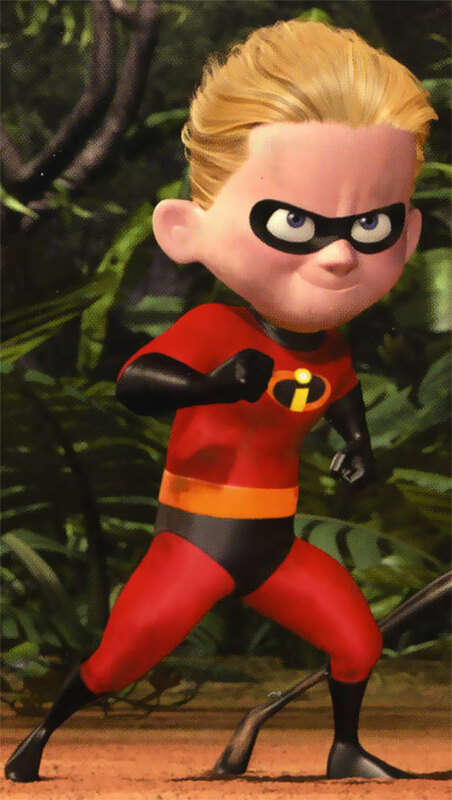 Known Relatives: Bob Parr (aka Mr Incredible, father), Helen Parr (aka Elastigirl, mother), Violet Parr (aka Violet or Invisigirl, sister), Jack-Jack (possibly Jacob) Parr, (brother). Height: 4’ Weight: 60 lbs. Age: 10. Dash can move at superspeed, and has proportional reflexes. He can move fast enough to run on water, and can move faster than the eye can see. When using his speed for momentum, he can also make some amazing leaps. He has demonstrated enhanced durability, especially from impacts. HD version of the official trailer. Mr. 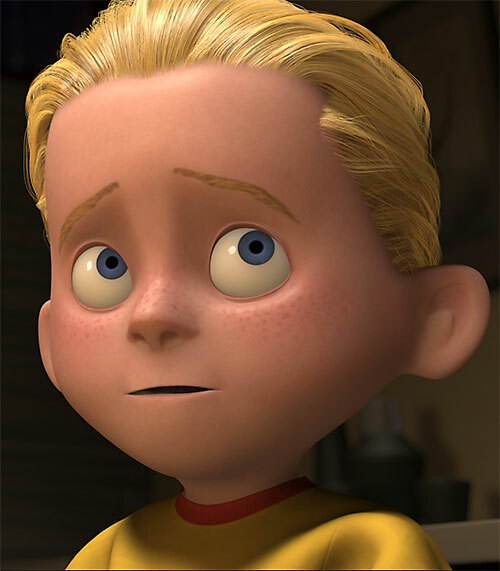 Incredible was his world’s most famed and lauded super-hero (“supers”, as they are called popularly), until a mishap while preventing a potential suicide led to a lawsuit for damages. This triggered not only an avalanche of personal-injury lawsuits against Mr. Incredible personally, but a public backlash of opinion against supers in general. Most of them were forced to go underground to keep from being sued to death. Mr. 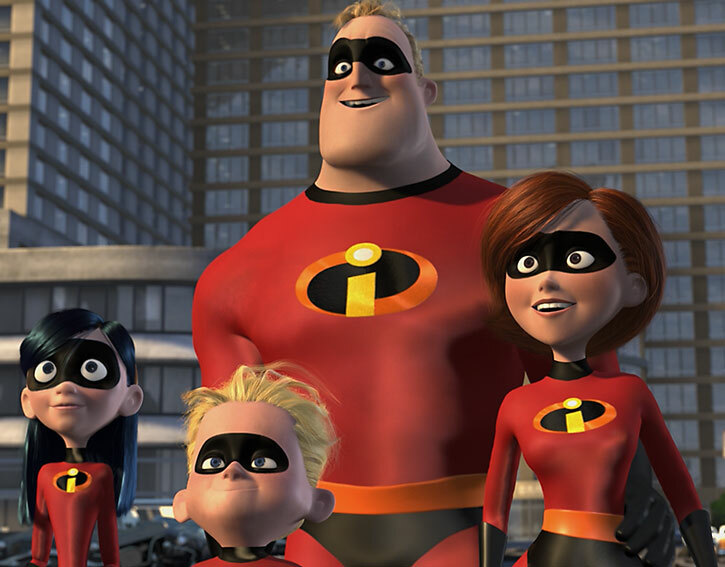 Incredible and his new wife, Elastigirl, retired and became simple Mr and Mrs Parr, and started raising a family. Bob Parr is an insurance claims specialist with a midlife crisis and a desire to go back to the “old days”. He’s fed up with his pushy boss and his immoral profession. He and his best buddy Lucius Best (aka Frozone), spend Wednesday nights cruising the city in a car, listening to the police scanner, and saving people on the sly. Helen is trying hard to be a mom to 3 kids, 2 of whom have superpowers of their own and fight constantly. She has worked too hard to build a normal life for her family to abide his nostalgia for heroism. Violet, their daughter, is having problems relating to people and is withdrawn and moody. Dash, their son, is chafing at the restrictions placed on him, and getting into trouble at school. When Mr. 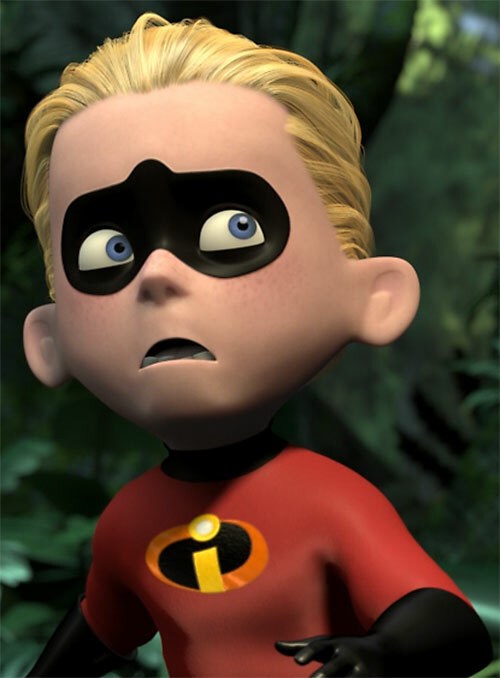 Incredible is offered the chance to play the role of hero again by a mysterious informant, he jumps at the opportunity. But when it turns out to be a trap set by an old nemesis he had a hand in corrupting, the whole family must reveal themselves to save Mr. Incredible and countless innocents. 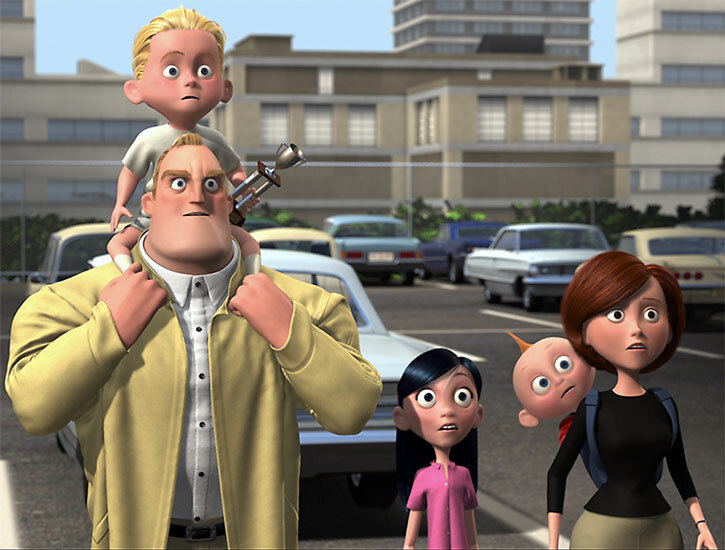 The Incredibles discover that their real power comes from their unity, rather than their superpowers. Dash is a small 10-year old with his father’s light blond hair and blue eyes. He wears a duplicate of Mr Incredible’s Incredisuit, which is specially treated to resist friction and wear. Dash is the annoying little brother of his family, a role he plays to the hilt when his sister is around. He is highly competitive, is always pushing the envelope, and, as with most young speedsters , is impatient and impulsive. He is easily bored in school, as is true for most kids who aren’t being challenged. It tends to get him in trouble, as when he put a tack on his teacher’s chair *in class*, faster than anyone could see him move. With the advent of his own supers career, Dash is likely to settle down a bit, since his new life is apt to provide a lot more challenges. Since the DC Universe is actually devoid of a “supers family” book for the most part, The Incredibles can be inserted whole-cloth. The “public backlash against supers” motif belongs more in a Marvel setting than DC, but the overall feel of the book is more Silver Age than modern. So placing them in the Post-WWII era is probably the right thing to do. 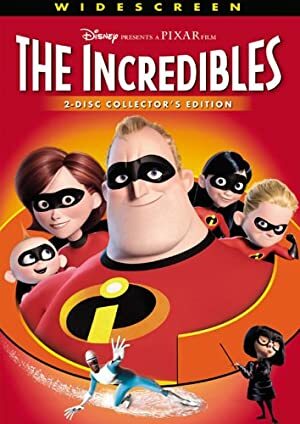 In which case, Mr Incredible and Elastigirl were supers during the final years of the McCarthy trials, and were the first to re-emerge in the new Heroic Age as the Incredibles. All Powers are Contingent to Superspeed (-1). 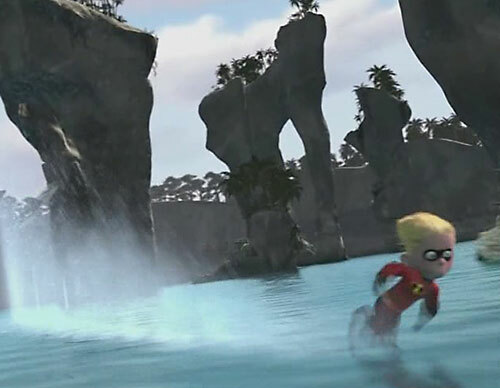 Air Walking represents Dash’s ability to run on Water (0). Cling: represents Dash’s ability to run up walls at speed, or “loop” archways (0). Cling does not last longer than a Phase (-2). Jumping requires Dash to be using Superspeed. His effective Jumping AP’s are at his current movement speed -4 (-1). Invisibility represents Dash’s power to move at speeds effectively rendering him invisible to normal perception. He has to be moving at full AP’s of speed for this to be in effect (-1). Martial artist is Contingent to Superspeed. Age (Young), MIA (Competitive), Innocent, Secret Identity, Misc. : body mass is 1 AP. INCREDISUIT [BODY 08, Radio Communication: 13 (Homing Signal only), HP Cost: 87. 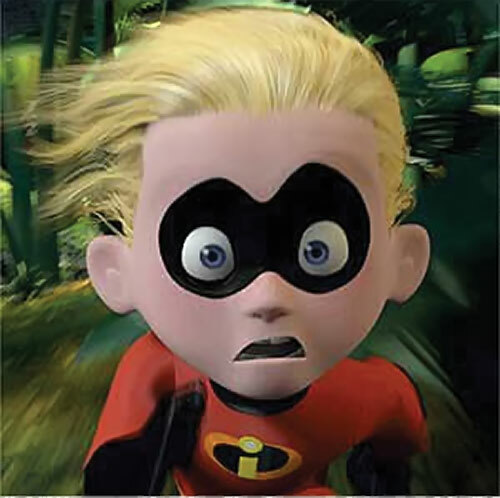 Incredisuit Works with the Owner’s powers (i.e., Dash’s Incredisuit is resistant to friction and wear from high-speed movement). Each suit is specially designed by Edna Mode] . 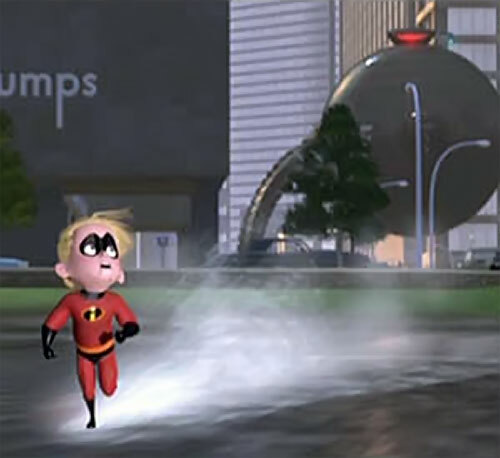 Violet’s ability to hover inside her field has led to Dash and Violet combining their powers for a unique attack ; Violet will protect herself and Dash with a Bubble, and Dash will run inside the bubble, much like a hamster’s exercise ball, and will essentially run over a group of foes. This attack is especially useful when they are heavily outnumbered and outgunned. The attack uses Dash’s Superspeed as a Charge Attack, but Both siblings are protected by Violet’s Forcefield from the potentially damaging effects of making the Charge. Since the Charge is made on a wide path (Violet’s typical “bubble” is 0 APs wide), the Charge is also considered a Sweep Attack for affecting a small group of targets. (think bowling pins). Helper(s): Mikael B, William Chamberlin, Phil Dixon, Eric Langendorff, Roy Cowan, Kal-El el Vigilante. Source of Character: Pixar’s The Incredibles” film.